This is an ode to our furry friends, we certainly do love you. I won't lie though, we may love you a little more now that we have a new Bissell vacuum to clean up after you. Don't get me wrong, we love that you are our constant companions, always happy to see us, ready for a walk or a snuggle and always up for a little bonding time with your human siblings. Sometimes we just don't love the messes you leave behind. We know you mean no harm but your pet hair, occasional stomach upsets, accidents, hairballs and messy paws can really take a toll on our cleaning habits. 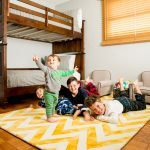 The truth is that with messy kids running around and the busy schedules that come along with being a parent, it can be really hard to keep up with the messes. 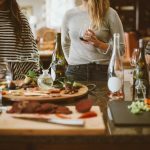 It seems like there are a million different cleaning tools and gadgets for every task and as a consumer it can be hard to decide what will actually make our lives easier and what will turn out to be a waste of time and money. 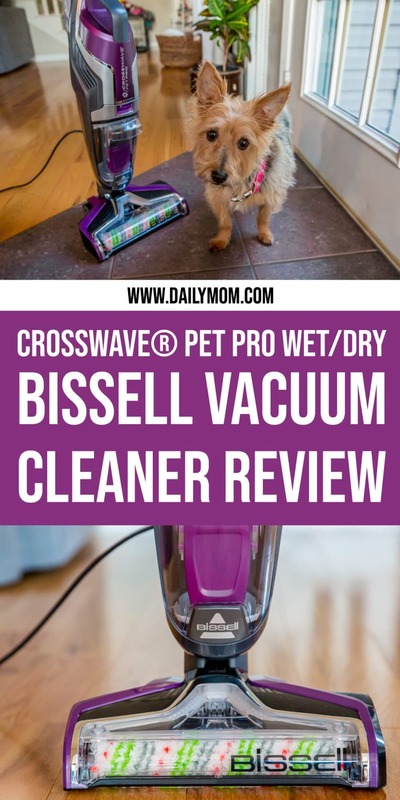 When the Bissell Crosswave Pet Pro came onto our radar, we knew we had to give it a try. 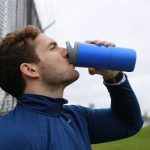 When reading about the CrossWave Pet Pro were initially a little hesitant to fall in love with a product that would turn out to be too good to be true. After all, one cleaning device that vacuums and washes your floor at the same time seems like too much of a dream. 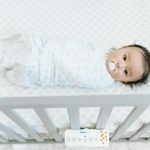 Well, we have been testing it out now for a couple weeks and we want to clue you in on what we loved about it, the few kinks we noticed and why we think it is absolutely a go-to product for any home with pets. 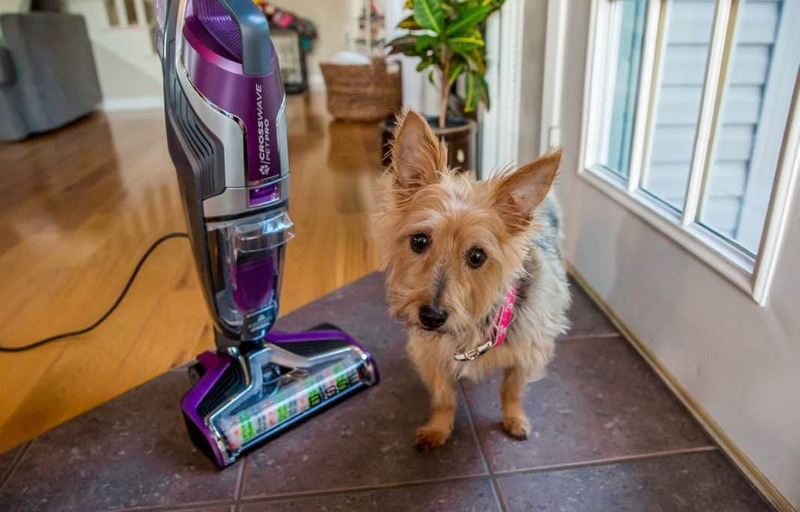 Bissell has an extensive product line, but a good number of their products are made specifically with pet-friendly households in mind. 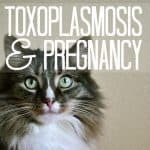 According to the 2017-2018 National Pet Owners Survey sixty-eight percent of U.S. households, or about 85 million families, own a pet. This means that I am not alone in feeling like I am sometimes cleaning up after my dog as much as I am my child. 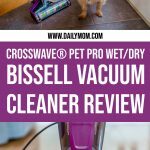 So, when I heard about the Bissell CrossWave Pet Pro I knew I had to get my hands on one to see if it could work miracles and maybe save me a little time cleaning up messes. After a few weeks really getting my fair share of use out of the Bissell vacuum, I can easily tell you all the best things about it. For starters, the product is safe and effective on tile, sealed wood floors, carpet, rugs, laminate, linoleum, and rubber floor mats. This means that when cleaning my downstairs I can get it all done with one machine. I am not exaggerating when I say that it glided over the streaks, dirt, dust and pet hair with ease. The best part of this Bissell vacuum? The Crosswave actually works. Wondering how it works? 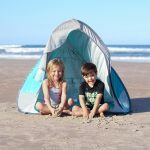 Simply put, it utilizes a two tank system to keep clean and dirty water separate. No need to worry about a mixing of messes! The dirty water tank also has a strainer that traps pet hair. My slight OCD about cleaning up dog hair really loved this feature. I was impressed with how well it picked up both dirt and heavier debris and was efficient on both hard floors and low-pile carpets. 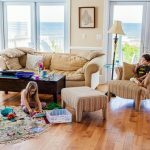 If you need some more tips on cleaning carpets check out these 5 Carpet Cleaning Hacks. 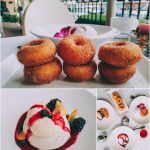 My favorite thing? I was able to clean up an accident after my little pup without scrubbing on my hands and knees. As a busy mom, you really can't beat that. 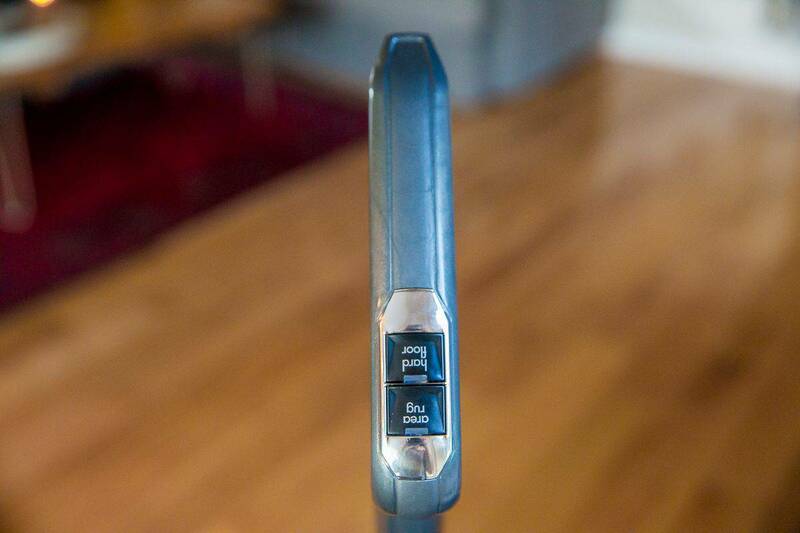 I also loved that the handles are enhanced with smart touch controls. 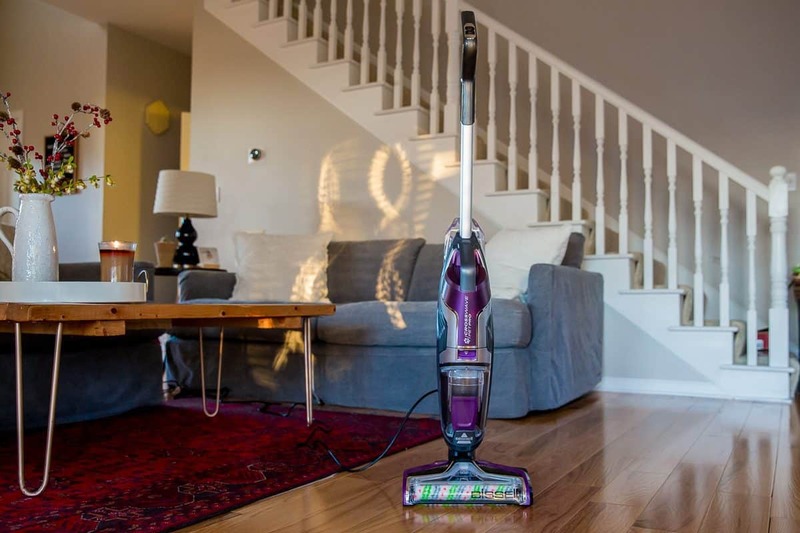 This allows you to switch quickly between cleaning hard floors of any kind and cleaning a rug. Also, moisture can be controlled with these buttons. You can choose how much formula is being dispensed in the cleaning process. 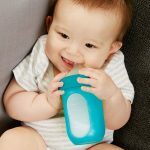 Speaking of formula, check out our tip below. 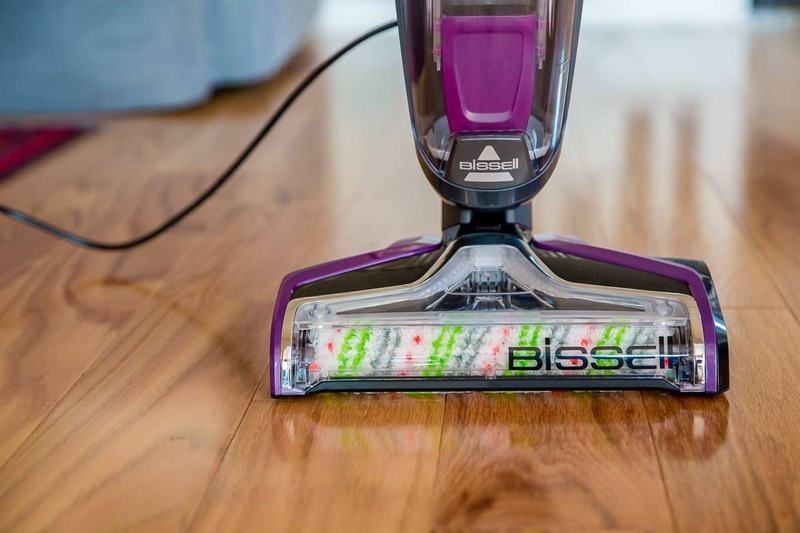 PRO TIP: There are three different solutions you can use with this Bissell vacuum, but I found that a mixture of vinegar and water worked fantastic. It also gives you the option to choose from three different rollers. One specifically for wood flooring, one specifically for pet households, and a basic model for everyday cleaning. Since most of my house is hardwood, I mainly used the one for wood and the one for pet households and really found them both to work well. 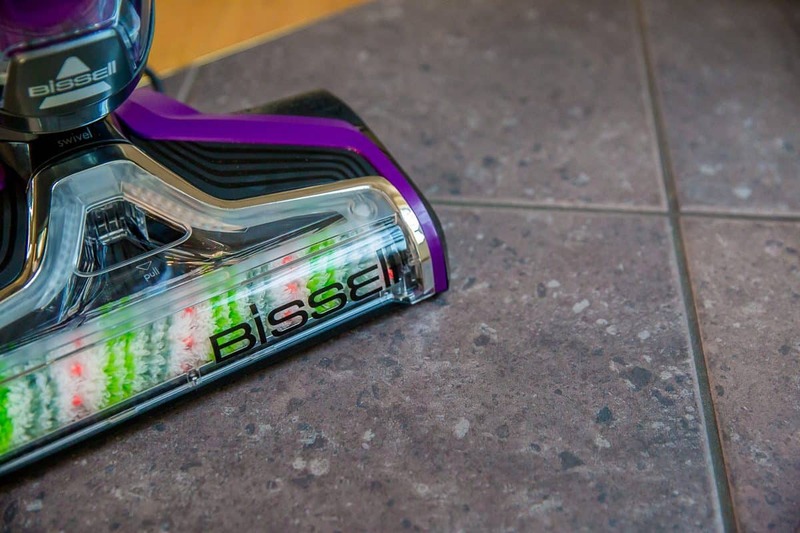 If you are looking to make cleaning up after messy pets, messy kids, or who are we kidding, messy husbands easy, this Bissell vacuum could be the perfect solution for you and your home. 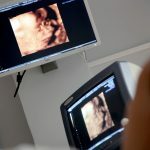 We loved all the amazing features of this dual use product and its capabilities. 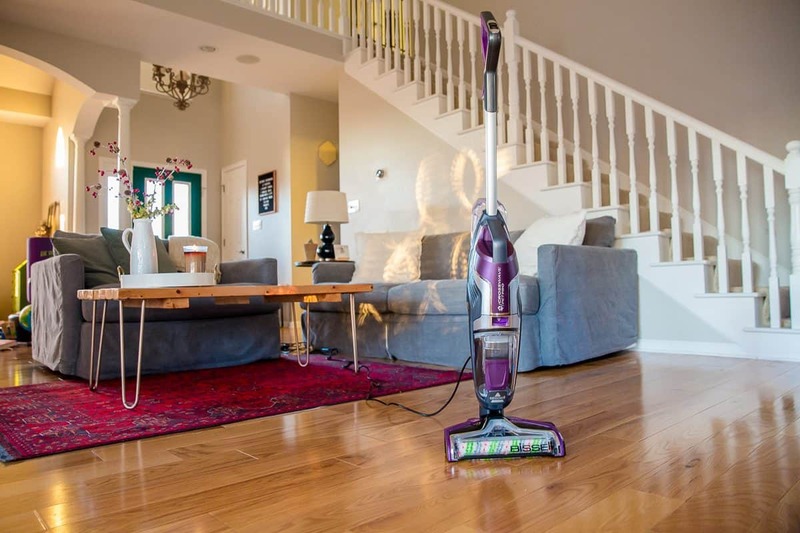 We would say that the only downfall is that it takes about as long as it would to both sweep and mop, but since you only have to use one sturdy product its in no way a dealbreaker. Spring cleaning season is here, that means it is a great time to perfect your arsenal of cleaning gear! Check out these 7 Natural Cleaning Recipes.